Hamara Ghar [Our Home] is an on-going project where I am exploring the physical and emotional relationships that relate to my childhood. The spaces and subjects are a record of a lifestyle that is specific to me. My parents were born in India, and my brother and I were born in the United States. We were raised in New York and Connecticut, where the majority of my family still lives. There has always been a sense of balance between cultures. My brother and I grew up on the Beastie Boys and baseball. Alternatively, we fasted during the month of Ramadan and watched Bollywood movies. The combination of cultures define me as an individual and is something that I want to pass on to my future children. In a sense, we are a microcosm of how my distant family exists in Udaipur, India. We have cousins living down the street and in neighboring towns. We share our homes and use just about anything as an excuse to have potlucks and parties. There seems to be a unique sense of comfort and peace whenever I return home to visit my family. I find myself in silent rooms, filled with scattered light and symbols of my childhood. Our homes are furnished with handmade textiles and our kitchens will forever smell like sautéed onions and turmeric. I am surrounded by familiar people and objects. Everything is always in order, yet I can't shake the thought that this atmosphere is slowly disappearing. 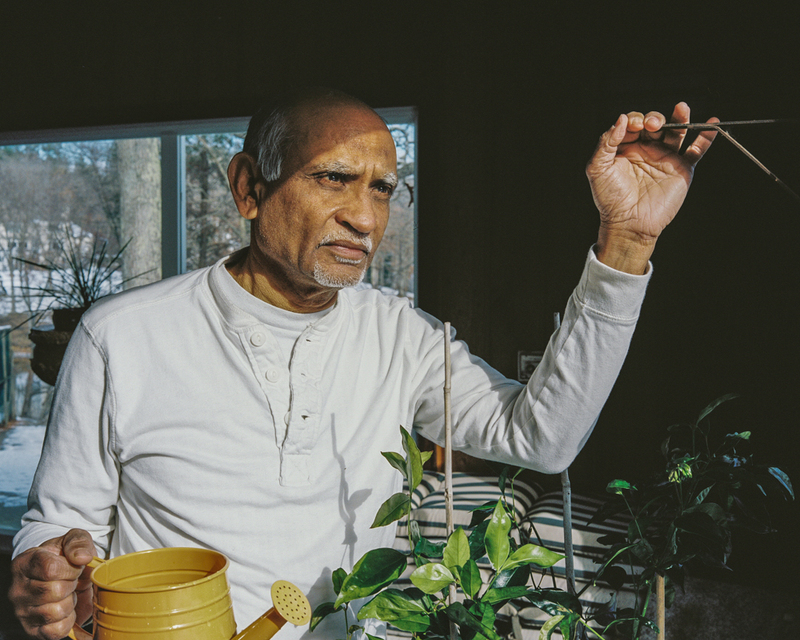 Saleem Ahmed lives and works in Philadelphia, Pennsylvania. To view more of Saleem's work, please visit his website and Instagram.